I was in Tallahassee and had lunch at a restaurant called Pitaria. This was a Greek restaurant on the edge of Florida State University. Because of this, the majority of the patrons in here appeared to be college students. I had a pita called the Gyro Supreme. This consisted of gyro meat topped with tomatoes, sauteed onions, mushrooms, bell pepper, tzatziki sauce, and feta cheese. While the contents of the pita were very tasty individually, I found it to be kind of salty. I'm not normally one to complain about a food being too salty. I normally enjoy salty foods, but the combination of the feta and salty gyro meat in this pita crossed my salt threshold. The Gyro Supreme left me feeling very thirsty. Would I return here if I lived a bit closer to Tallahassee? Probably. Next time I wouldn't order a pita filled with a combination of multiple salty foods. 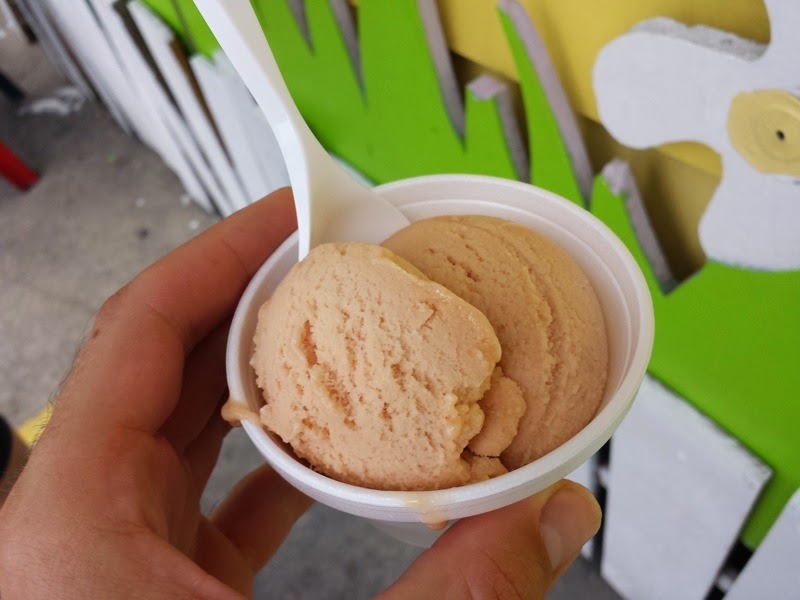 Lu Lu's Ice Cream Shop is located in the parking lot of Eat More Produce in Winter Park. Lu Lu's is in a very small building. They actually appear to be in a shed. The shed is very nicely painted to look like a house. Regardless of their small size, they had a good selection of ice cream flavors. I decided to try their blood orange sorbet on my last visit here. I was actually a bit surprised by the color of the ice cream. It lacked both the deep red of blood orange or the brighter orange of most orange sorbets. Instead, the sorbet was more of a tan color. This probably means Lu Lu's doesn't artificially color their ice cream, which is a good thing. The sorbet was very tasty, with a fresh orange taste. Citrus flavored sorbets are always refreshing to me for some reason. Bagel King is a local chain with several locations throughout the Central Florida area. One of their smaller locations is in Debary at the intersection of 17-92 and Highbanks Road. I've been to this location a couple times now. 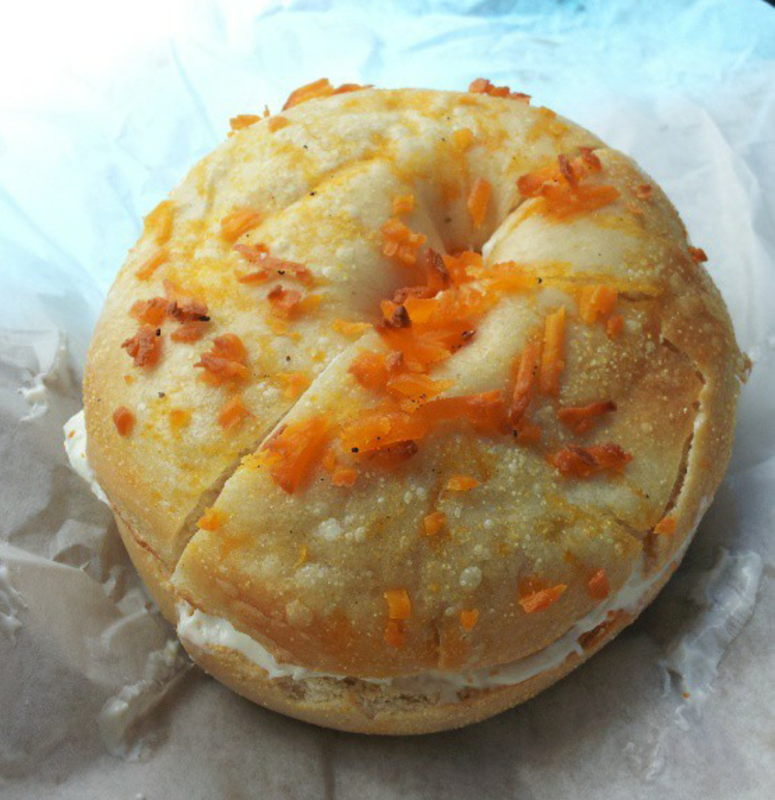 On my first visit, I tried a cheddar bagel with cream cheese. I don't think I had ever tried a cheddar bagel anywhere before this. I've had other types of cheese on bagels, but not cheddar. On another visit to this Bagel King, I had an everything bagel with cream cheese. This bagel seemed skimpy with the amount of seeds. There were seeds on both sides of the bagel which is always a plus, but there seemed to be less seeds compared to other Bagel King bagels that I've had in the past. Perhaps I just got a bad batch. While I enjoyed my bagels at Bagel King, I didn't enjoy how unpleasant the employees have been in this location. They gave the impression that they really didn't want to be there and seemed angry that they had to slice my bagel. Regardless, Bagel King's bagels are definitely better than chain bagels. Then again, there aren't any of the big chains in Debary (Panera, Einsteins, or Dunkin Donuts) so Bagel King seems to have the bagel monopoly in this city! 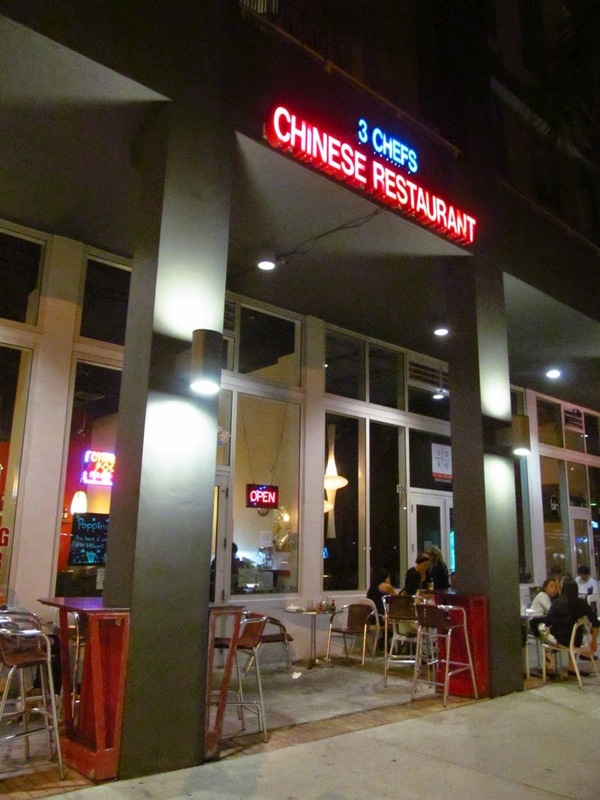 On a visit to South Florida, I had dinner at 3 Chefs Chinese Restaurant in Miami. It was a nice night, so we decided to dine outside at the tables 3 Chefs had out front. I ordered the Szechuan Shrimp dinner combination. This meal started with a bowl of wonton soup. Which was then followed by the main course. This came with several large shrimp mixed with various vegetables. The sauce used on the Szechuan shrimp had a nice kick, which is a good thing. The little pepper icon on the menu denoting a spicy dish actually meant something here. Fried rice was served on the side. 3 Chefs Chinese Restaurant served pretty standard American style Chinese food. Everything was fairly similar to what countless other Chinese restaurants serve. Regardless, the food was tasty. I enjoyed the sauce on the shrimp and it came with a nice variety of vegetables. While visiting South Florida, I ventured deep within Everglades National Park and found myself in the former town of Flamingo. Flamingo is the furthest south that you can travel in the park by road. Flamingo was an actual town at one point which was occupied in the late 19th and early 20th century. Eventually Flamingo became a ghost town and was incorporated into the national park. The ruins of the former ghost town are apparently still present, but today Flamingo consists of a visitors center, marina, campsite, and an abundance of alligators and crocodiles. Behind the bright pink Flamingo Visitor Center, there is a screened in area that houses a restaurant called the Buttonwood Cafe. The location provides a very nice view of Florida Bay. The restaurant itself was essentially a food truck with table service. There was a trailer attached to the screen enclosure where all of the cooking was done. Servers took orders and delivered food. Apparently there was a more permanent restaurant here in the past which was destroyed by hurricanes and was never fully rebuilt. I ordered the grouper sandwich. This consisted of a fried filet of fish on a bun with lettuce, tomato, onion, and tartar sauce included alongside the sandwich. I assembled all of the sandwich components together and this ended up being a tasty sandwich. The large piece of grouper was freshly breaded and fried. The breading had a very nice peppery flavor. The bun was a step above a standard hamburger roll. Coleslaw and fries were served on the side. I enjoyed my meal at Buttonwood Cafe. It was my first experience dining in one of Florida's National Parks. 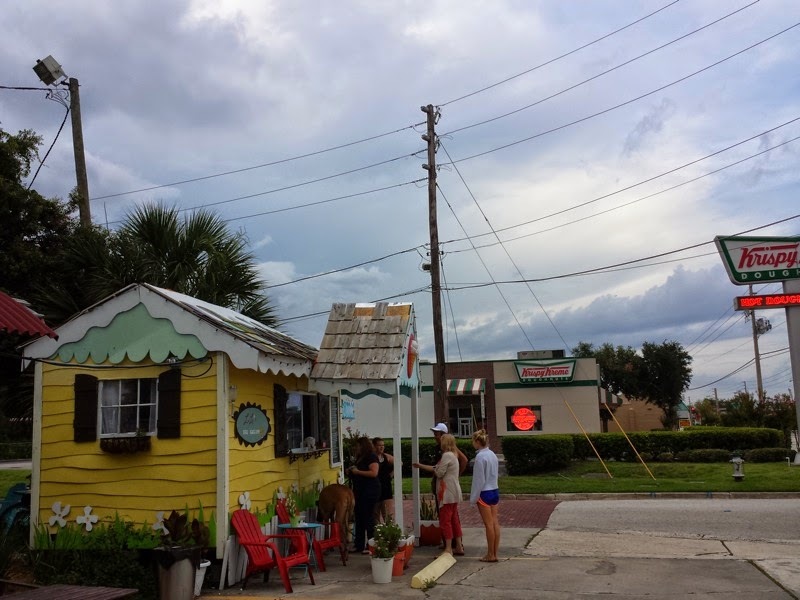 It was also the furthest south I've ever eaten in peninsular Florida. I'd gladly return to the Everglades to eat here again! I recently braved the massive construction at Downtown Disney as it is transformed into Disney Springs and ate dinner at Wolfgang Puck Express. 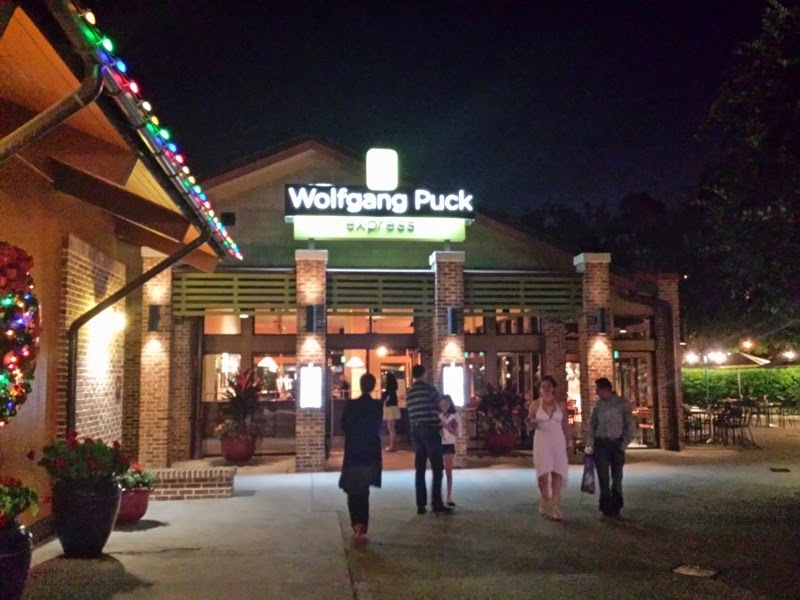 This is one of two Wolfgang Puck restaurants in Downtown Disney. This particular restaurant is located in the Marketplace section of Downtown Disney and is the lower priced of the two. Wolfgang Puck Express is a quick service restaurant and they seem to specialize in pizzas, pastas, and sandwiches. According to their menu, the ingredients used are organic and locally sourced. There were three of us who ate here on this particular visit. We each ordered a different pizza and traded slices to compare. I ordered the Fennel Sausage Pizza. This consisted of crumbled sausage, pesto, roasted sweet peppers, and mozzarella. The pie was tasty, although the crust seemed to get very soggy underneath wherever the sausage was. The slices seemed to loose some of their structural integrity because of this. 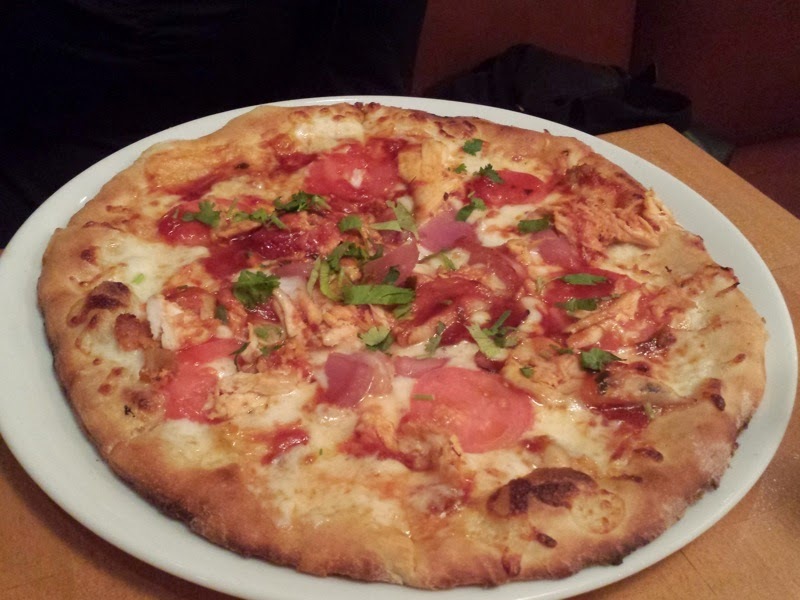 Barbecued Chicken Pizza was another pie that was tried at our table. This was topped with chicken, grilled red onions, cilantro, roasted tomatoes, and barbeque sauce. I can't exactly pinpoint what it is, but variations of barbecue pizzas don't do much for me. This wasn't necessarily a bad pie, but I wouldn't order it on my own. Perhaps it the unexpected (even when it is expected) barbecue sauce rather than a more standard tomato sauce that catches me off guard. Finally, I also tried the Four Cheese Pesto Pizza. This one was my personal favorite of the three pies. The four cheeses were mozzarella, goat cheese, parmesan, and fontina. It was topped with pesto, fresh tomatoes, and sun-dried tomatoes. 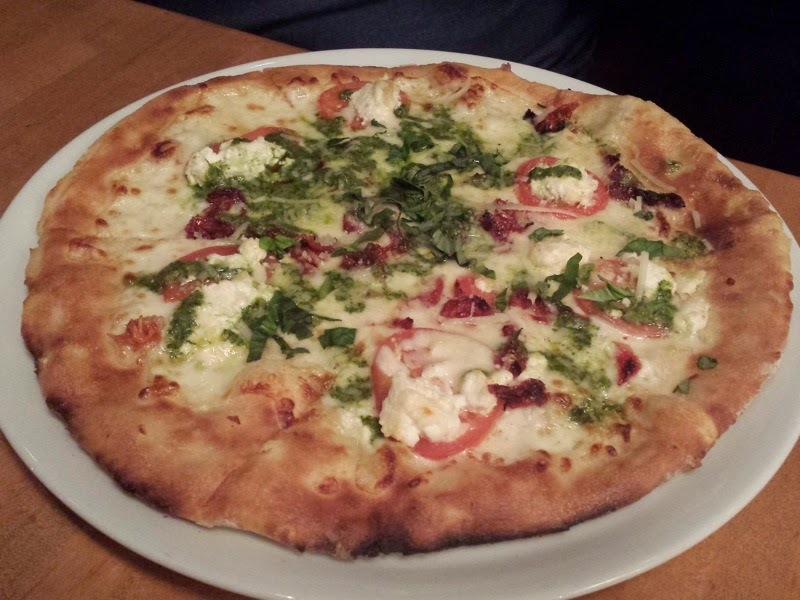 Goat cheese should be put on pizza more often because it is delicious! 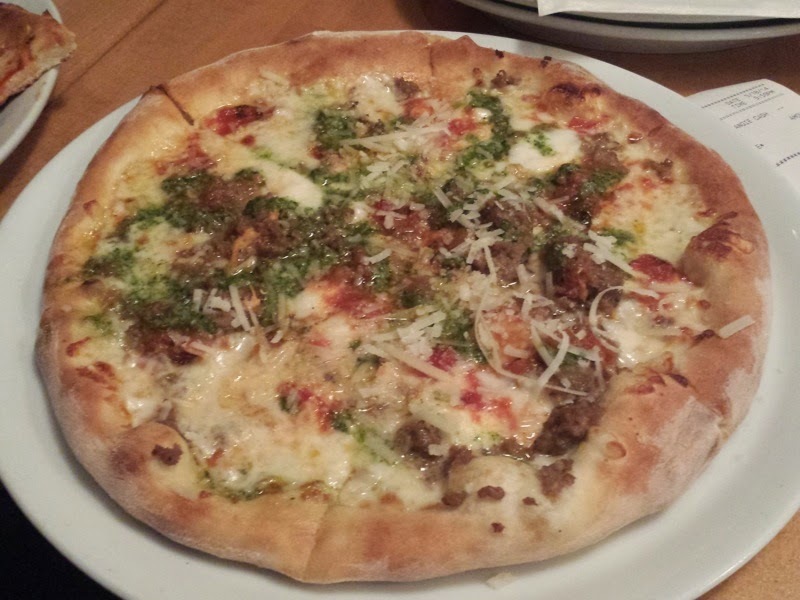 Overall, I enjoyed the pizza at Wolfgang Puck Express. I know there's a celebrity chef name attached to the restaurant, but this is still essentially food in a theme park's outdoor shopping mall. With that in mind, Wolfgang Puck Express sets a pretty high bar when it comes to pizza catering to the theme park demographic. The prices are relatively affordable as well. I'd return.